The only free music video jukebox anyone can control from their device. Jukebox Star has millions of music videos. Anyone can find a track that fits the mood of the party. From hard rock to dance floor classics, Jukebox Star has it covered. You don't need any premium subscriptions to start playing music or to create a jukebox. Jukebox Star is free for everyone, forever. No limits on how many tracks you can play or how many jukeboxes you can create. Jukebox Star is the only truely free, limitless music video jukebox. No more hogging the playlist or asking someone else to put a song on for you. 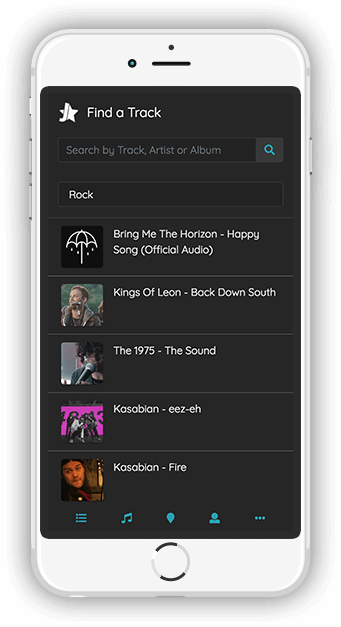 With Jukebox Star, anyone checked-in to the jukebox can add a song to the play queue. It's completly free and takes less than 60 seconds! 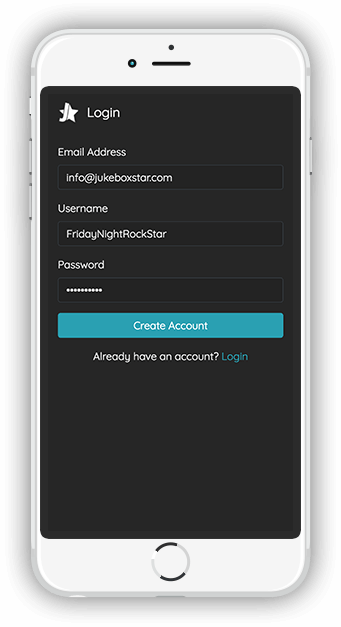 Simply enter your email address, pick your username and set a password. Don't worry, we won't send you spam or sell your details to anyone else. You can customise your profile further after you login whenever you want. We're not just for house parties. 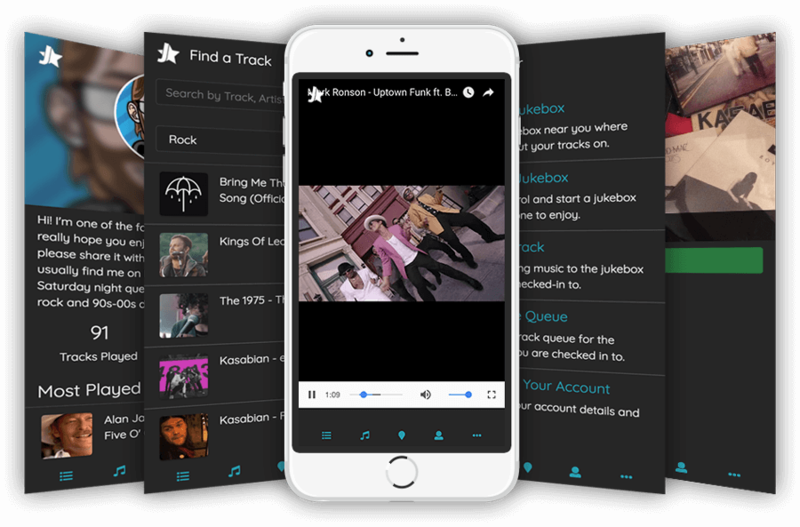 Jukebox Star is the perfect jukebox app for bars, pubs and restaurants. 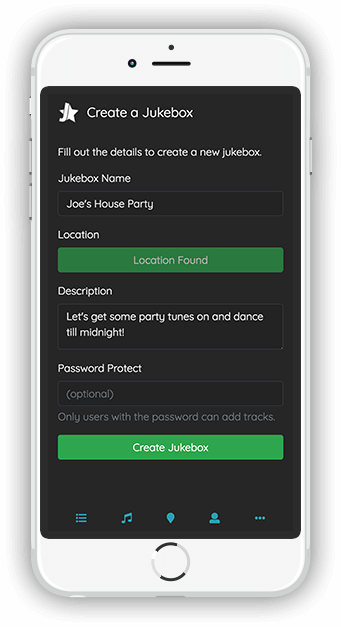 By creating a jukebox, you will have full control over what music is playing at any time by skipping and deleting tracks. You can even set a jukebox password to restrict who can add music. Once you have created an account, you can find online jukeboxes near you by simply clicking 'Find a Jukebox near Me'. Jukebox Star will then show you the closest jukeboxes near you to check-in to. 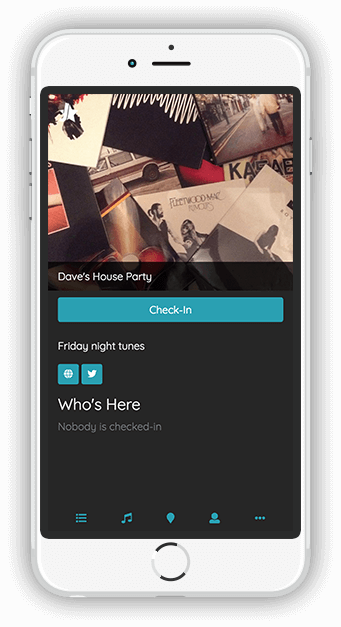 Simply click on a jukebox and click 'check-in' and you're ready to queue up music videos. Browse our extensive database of music videos by genre or search for a specific track by artist name, track title or album. The more your play, the more Jukebox Star will understand your taste in music. Jukebox Star works on most platforms and devices. No download required.